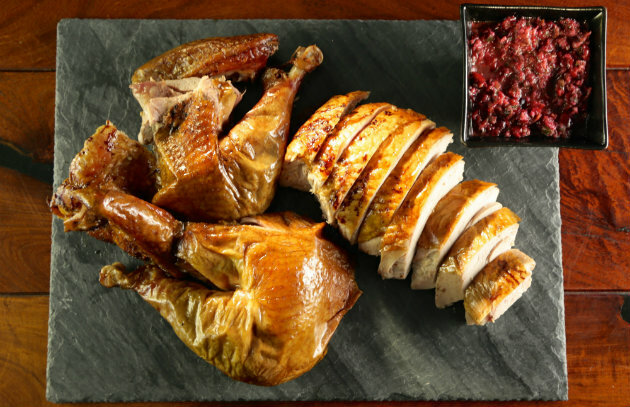 In most households, turkey is the rock star of Thanksgiving dinner. Smoke-roasted whole and brought to the table with fanfare, it is the enduring symbol of this uniquely American holiday. But have you noticed, once plates are piled high, our forks tend to go to one of the side dishes? We can’t get enough of our herbed stuffing/dressing, candied yams, corn pudding, smashed potatoes, and inexplicably, old-school green bean casserole. Without straying too far from the prescribed path, may I suggest that you bring the awesomeness of smoke and fire to the Thanksgiving table while simultaneously freeing up valuable real estate in your oven on this, the busiest cooking day of the year? Rest assured: the celebrants of the first Thanksgiving used live fire. Below are a few of the side dishes that will be on our table this year. Best wishes to all for a wonderful Thanksgiving from my wife and me, Nancy, Rob, Joanna, Molly Kay, and the whole crew at Workman Publishing and BarbecueBible.com. Jalapeño-Cranberry Salsa: Move over, canned cranberry sauce. Fresh cilantro, lime juice, scallions, and jalapeño chiles electrify these traditional holiday berries. This vibrant relish goes equally well on smoked turkey sandwiches the day after Thanksgiving. Best of all: no cooking required. 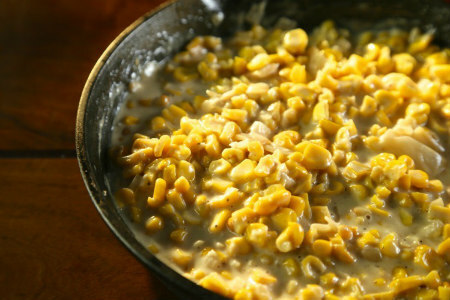 Smoked Creamed Corn: This smoky creamy corn was one of the most popular recipes on the set of the Project Smoke taping. The crew scraped the cast iron skillet clean. (That’s when I know we have a winner.) And if you live in an apartment or condominium and don’t own a smoker, don’t worry: you can smoke the ingredients on an indoor smoker such as Camerons. 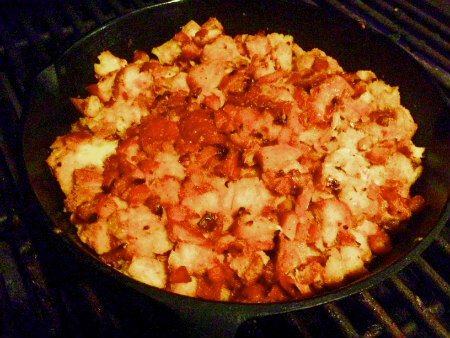 Smoked Mushroom Bread Pudding: Need another reason to be thankful on Thanksgiving? Try this insanely rich bread pudding from my forthcoming book, Project Smoke. (Order your copy here.) The pudding starts with egg- and butter-rich brioche. (Any artisanal bread will work.) Exotic mushrooms are available at most supermarkets, or use fresh button mushrooms or portobellos. Smoked Turkey Jus: On Thanksgiving, it seems like you can never have enough gravy. People pour it profligately over turkey, mashed potatoes, and dressing. This year, introduce the haunting flavor of smoke to your gravy by smoking chicken or turkey broth alongside the bird. Don’t forget to collect the drippings.